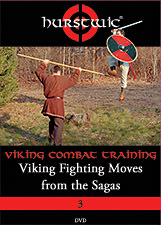 An introduction to the fighting moves of the Vikings. 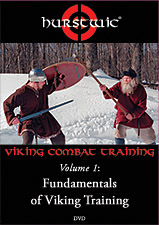 Advance instruction in the fighting moves of the Vikings. 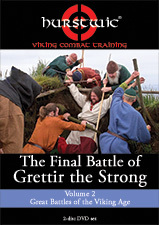 Learn the fighting moves that caused Viking warriors to be feared and admired. 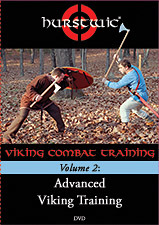 DVD Combination Pack #1: Buy all 3 Hurstwic® Viking Combat Training DVDs and save 20%. The brutal reality of Viking-age fighting brought to life on the screen. 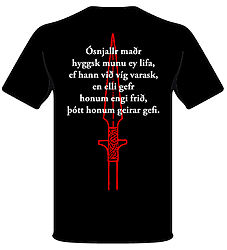 A new prespective on the life of a real Viking. 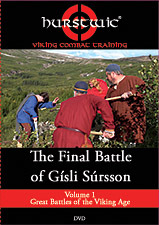 DVD Combination Pack #2: Buy all both Hurstwic Great Battles of the Viking Age DVDs and save 20%. 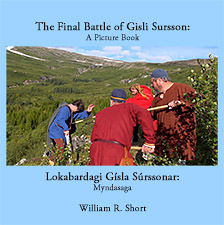 Gisli's fight to the death is illustrated in brilliant color photos, with the saga text presented in Icelandic and in English translation. 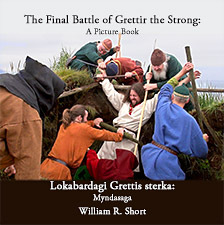 The heroic battle on Drangey that ended Grettir's life is illustrated in brilliant color photos, with the saga text presented in Icelandic and in English translation. 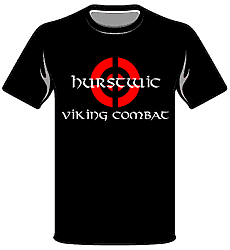 The newly re-designed Hurstwic t-shirt.